A.S. Council passed a resolution stating its support of a transportation fee referendum last Wednesday, which would help address nearly 12 months of debate over how to resolve a series of transportation changes proposed by UCSD Transportation Services. The choice to battle transportation issues with a referendum comes as a result of responses to the “We Decide, Let’s Ride” campaign survey from earlier this quarter. The language of the referendum has yet to be finalized and approved by A.S. Council. The earliest a referendum could be presented to the student body is some time during Winter Quarter 2014. There were a total of 2,621 respondents to the survey — roughly 36 percent live on campus, 27 percent use the UCSD City Shuttles to get to campus and smaller percentages use other means. The options listed on the survey included converting some “S” parking spots into more expensive “Commuter S” spots, a $117-per-quarter, user-based fee, a $25 to $45 student-based fee to partially cover expenses or a $45 to $60 student-based fee to fully cover expenses. 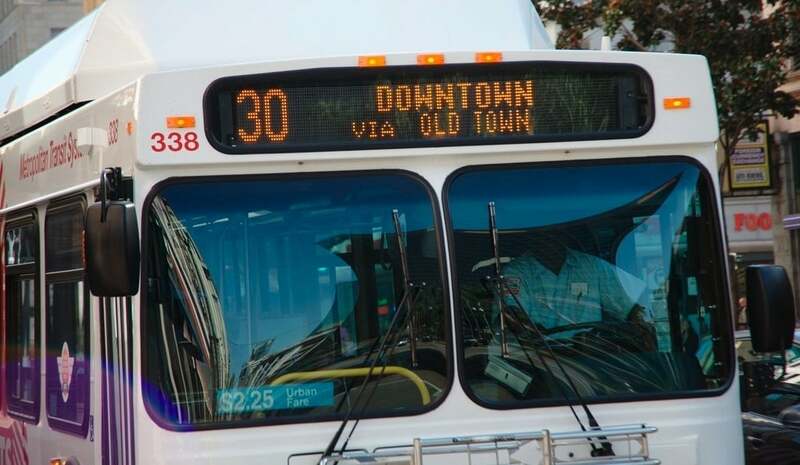 Over 60 percent marked disagree or strongly disagree on a user-based fee — where students would pay an out-of-pocket price if they chose to ride shuttles within the Bus Zone — while responses for increased parking permit prices were more evenly distributed between strongly agree and strongly disagree. Another question proposed reducing the frequency of Campus Loop buses in order to “preserve coverage to off-campus student housing.” Over 75 percent of respondents marked agree or strongly agree. However, in a letter to Vice Chancellor Matthews, this proposal was not discussed. The ideas suggested in the letter were the instituting of the referendum and a Student Transportation Advisory Committee that would have oversight of these funds. In moving forward with these proposals, there are many governing bodies that must approve of them before they are finalized in a vote, which A.S. President and Transportation Task Force member Andy Buselt said the task force hopes will be no later than Winter Quarter 2014.
for a decade trying to balance its budget on our backs. The transportation deficit should be eaten by the university, period. And of course that sounds simplistic. A call for such a solution demonstrates a lack off understanding of the university’s obligations by law that prevent it from crossing revenue streams to pay for deficits.But is it? The so-called 1.9 million deficit is the creation of the university itself that jammed thousands of admittees into a system it was totally unprepared to handle in the name of pumped up tuition numbers and, not to mention, pumped up tuition cost. The university student has born the brunt of the economic crisis the university found itself in and now is threaten with choosing between lesser of evils in fee hikes to pay for him or her getting to class. Many students now do not drive if they can help it, not only because of cost but because it is the right thing to do. And they are now going to be penalized for this as well. What these surveys and mock attempts at a democratic process demonstrate is that the university uses his behind this behavior in its blatant disregard for priorities matched to student needs. San Diego as a city and a county, although it is trying to correct the situation, is in its infancy in terms of urban transportation. The student who lives here can use all the help he or she can get. Thank you. Excuse me. This was actually intended to go to both the GSA AND to the Triton in response to their article on student surveys in regards to the transportation deficit.